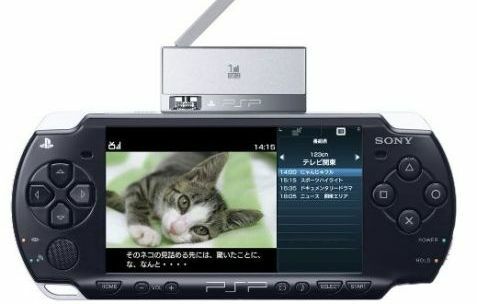 The Japan consumer electronics giant, Sony has announced its new digital 1 seg TV receiver, names as Sony PSP-S310. Sony PSP-S310 is a TV tuner which attach to new Sony (PlayStation Portable) PSP’s USB port to receive digital terrestrial channels via 1seg broadcasting service, allowing PSP users to watch TV on the go, anywhere anytime with 1seg. The Sony PSP-S310 digital TV receiver which measures 55×31.8×14.2mm and weighs 17 grams will sell for 6,980 Yen or about $57 in the near future.